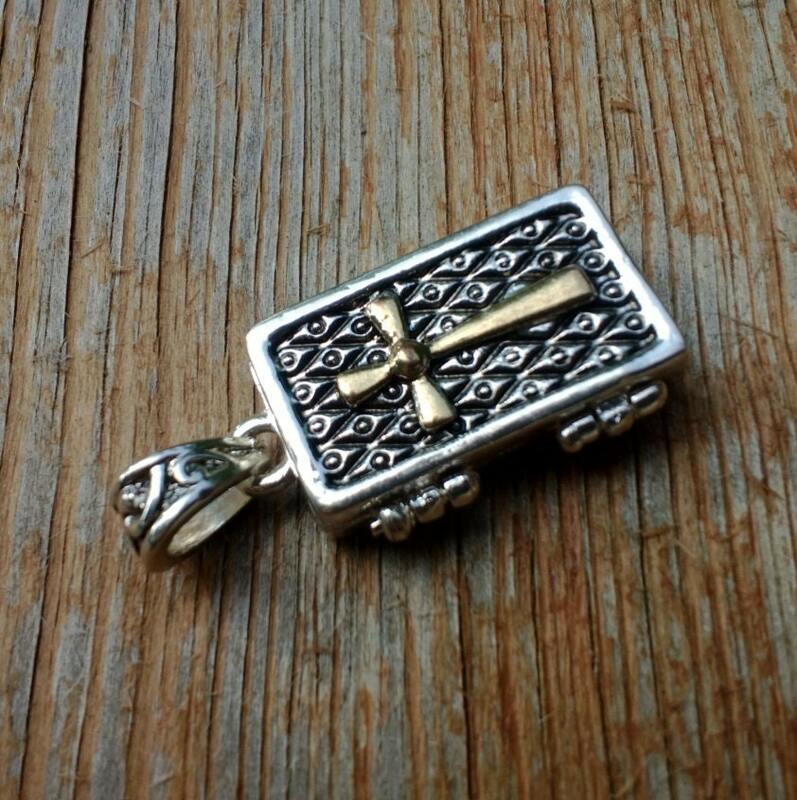 This prayer box has an antique silver finish, with an antique gold finish cross on top. The box has a strong magnetic closure that will keep it closed when worn. This prayer box is 27X15mm in size. Consider this prayer box for yourself or for a loved one, or as a gift (communion, confirmation, get well, religion teacher, etc.). Shipped very quickly! 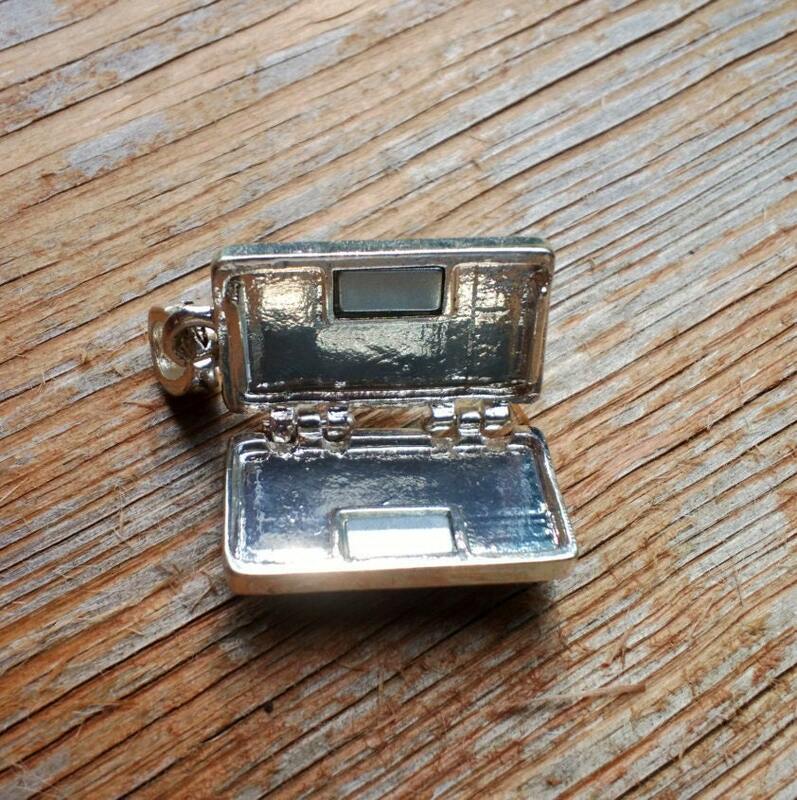 It's a very sturdy locket and looks a lot nicer in real life than the picture shows. Don't think you will be disappointed!